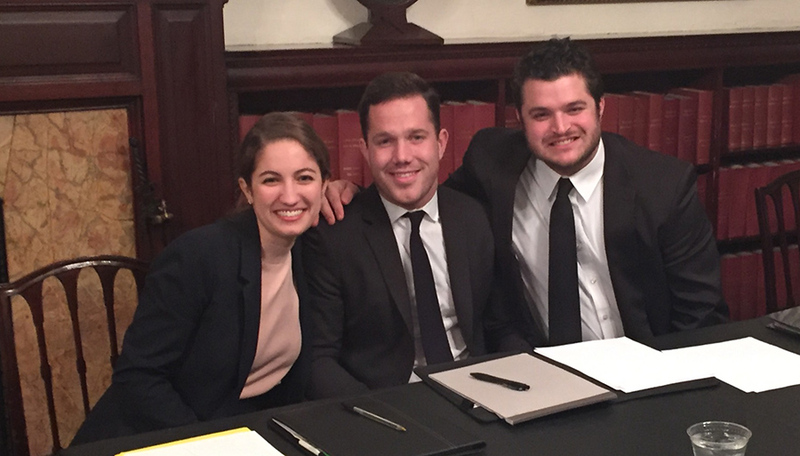 Over 160 teams from more than 100 law schools participated in the competition, which was co-sponsored by the American College of Trial Lawyers. Mullaney was also given the best oralist award, with Pavletic coming in second place. The team’s brief was fourth overall, and they swept six oral argument rounds throughout the competition. The team was coached by Sarah O’Rourke Schrup, a clinical associate professor of law and director of the Bluhm Legal Clinic’s Appellate Advocate Center. “I am so incredibly proud of their hard work and impressed by their unflappability and earnest advocacy. It was such an honor to be by their side during this competition,” Schrup said.